Holy cow, THIS DESSERT! It’s a carrot cake, it’s got a cheese cake layer, and it’s got a crumble topping. 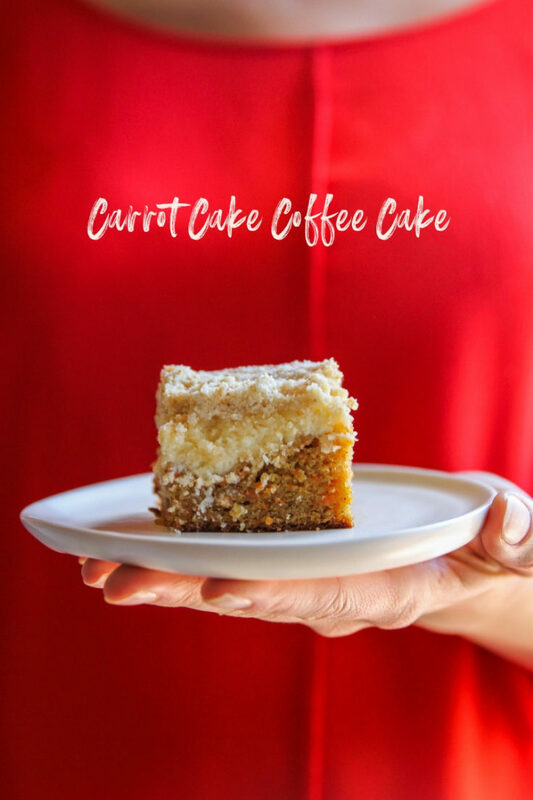 I present you with carrot cake coffee cake which will be your go-to Easter recipe! Nick and I were chatting about what dessert we should make for our Easter menu. 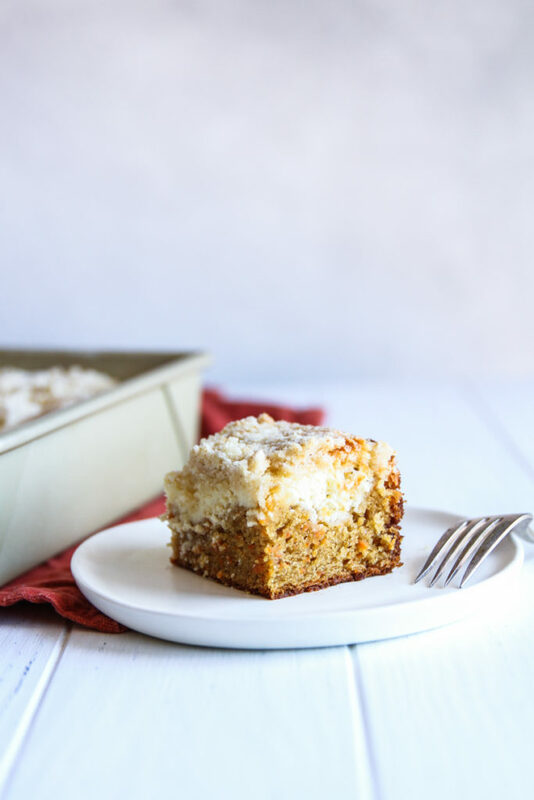 I suggested a classic carrot cake, he asked about a cheesecake, so I combined them and made this incredible carrot cake coffee cake with a cheesecake layer. 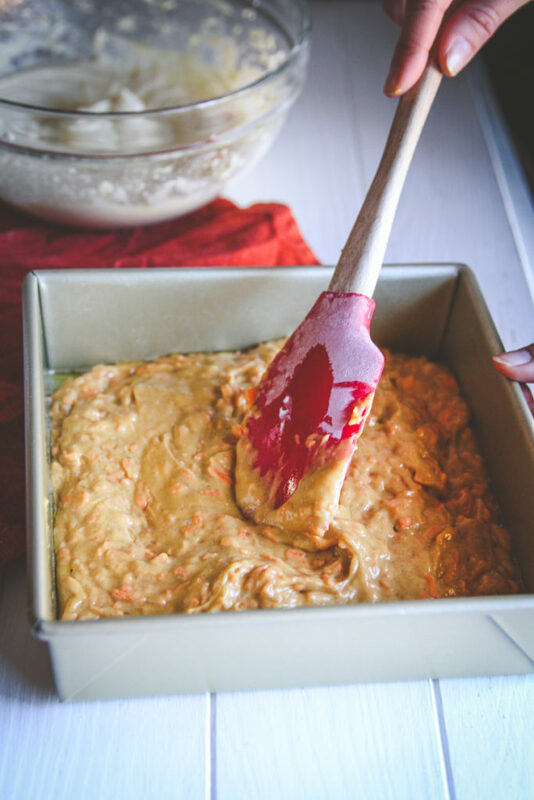 We’re hosting Easter – check out my post for 5 Ingredient Glazed Carrots for the full story. And while you’re at it, add those glazed carrots to your Easter menu! 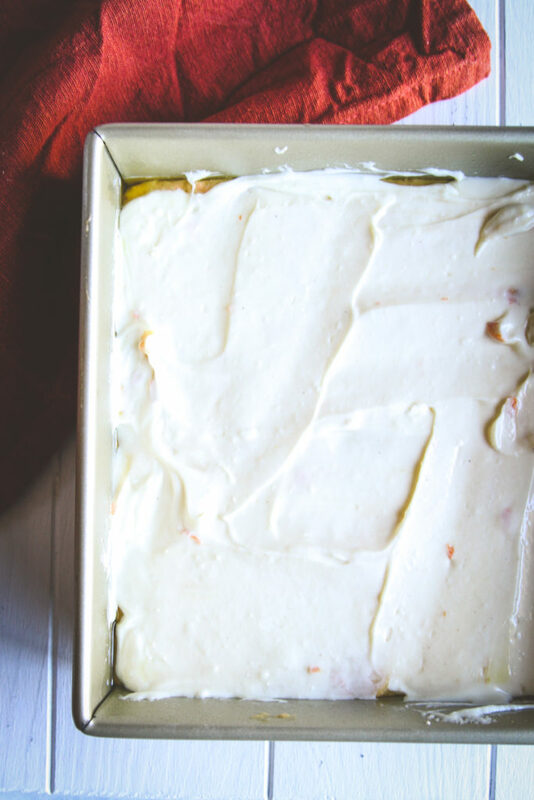 Back to it – we’re hosting Easter and we knew carrot cake had to be part of the menu. But I wanted to get a little more creative with our carrot cake this year. So, I asked Nick to start naming some of his favorites treats. Among the top few were cheesecake and coffee cake. So, it hit me, let’s just mash up all of our favorites – carrot cake, coffee cake and cheesecake – into one glorious Easter dessert dish. 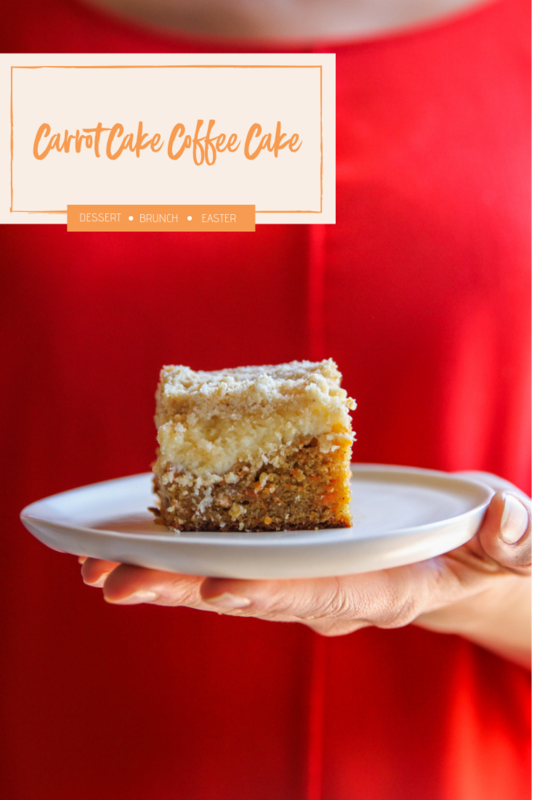 Side note: I can tell you for certain I’m going to be making this amazing carrot coffee cake recipe for any brunch celebration going forward! 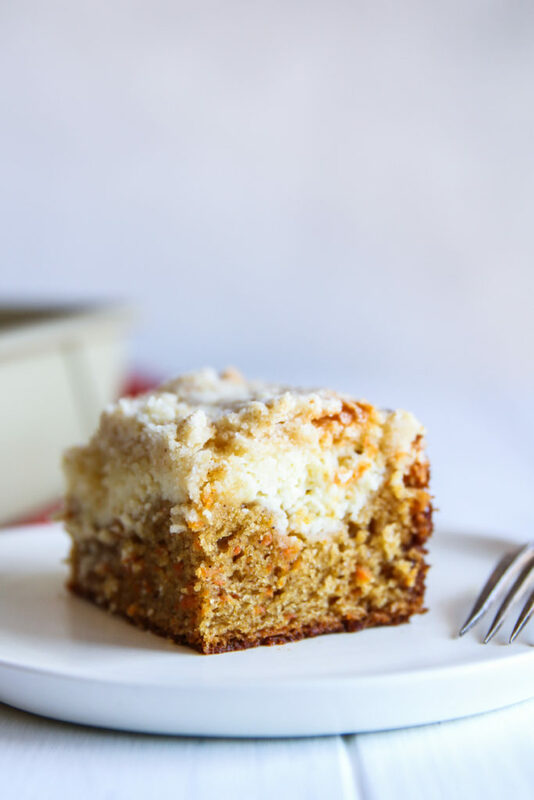 This carrot cake coffee cake is three layers of yum. It starts with a moist carrot cake on the bottom, next comes to delectable cheesecake layer (my personal fave!) and the crumbly topping, just like the ones on your favorite coffee cakes. If this mash up isn’t your style, this more classic carrot cake recipe is made a touch more special with spiced pecans on top! You can’t go wrong with either recipe. If you’ve been following SweetPhi for awhile, you know how much I love my Williams Sonoma Goldtouch pans. They help make my cakes delicious every time and highly recommend them to anyone who wants to start to do more baking. 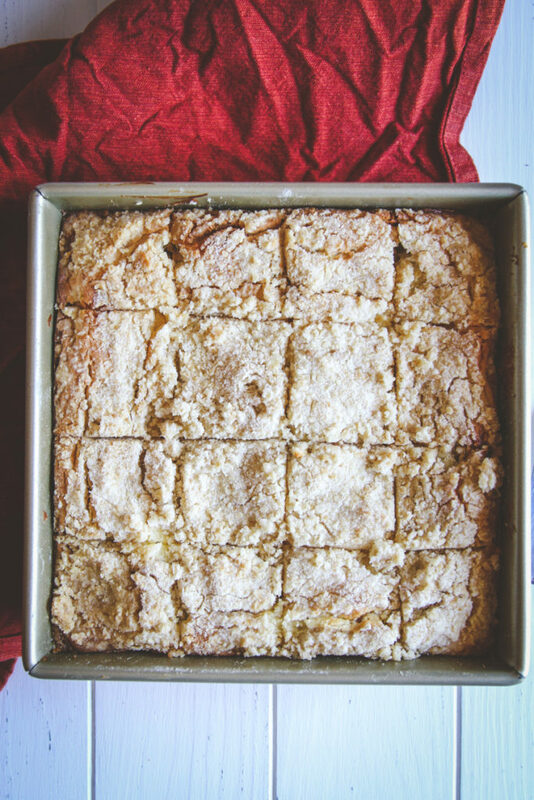 I used my 8×8 square pan for this recipe, but you can easily swap out for a 9×13 if you need a higher yield. This will, of course, make for a much thinner cake, but it will still be fluffy and delicious! And you just may want to double the batch so you have some leftovers after all the guests have left. 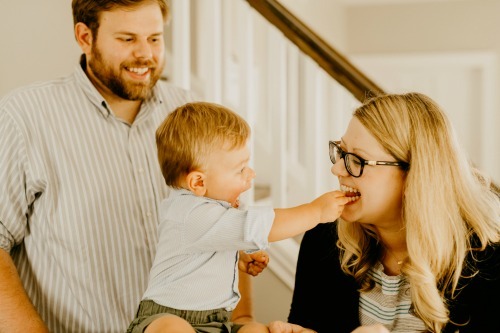 I know the ingredient list may look a little long on this recipe, but I promise you won’t regret it if you give this one a shot. 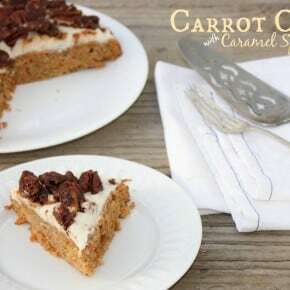 It can even please the carrot cake doubter because there is always one of those at a party, so grab the ingredients and add this to your next brunch menu! Preheat oven to 350, spray an 8x8 inch square baking dish with cooking spray and set aside. Mix all dry ingredients first and then add all wet ingredients and mix until well combined, set aside. 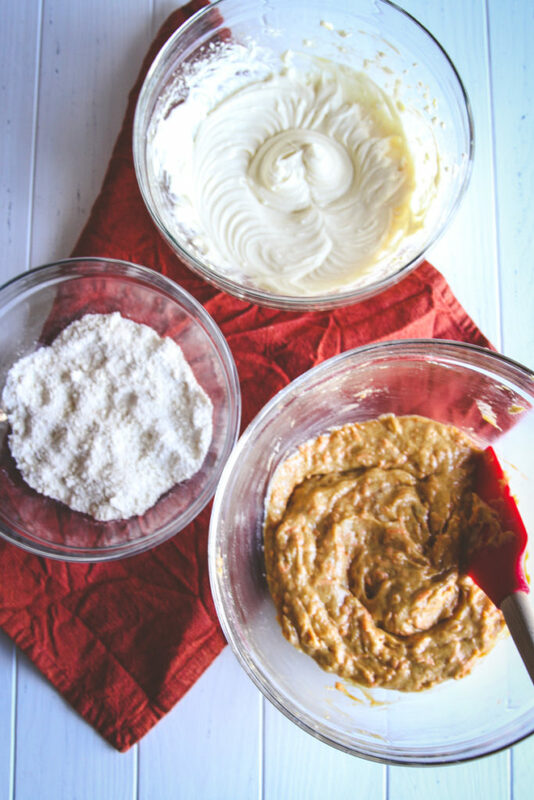 Simple combine all ingredients with a hand or stand mixer until well combined and set aside. Either use a food processor, blender or two knives to combine the ingredients into a crumbly mix. 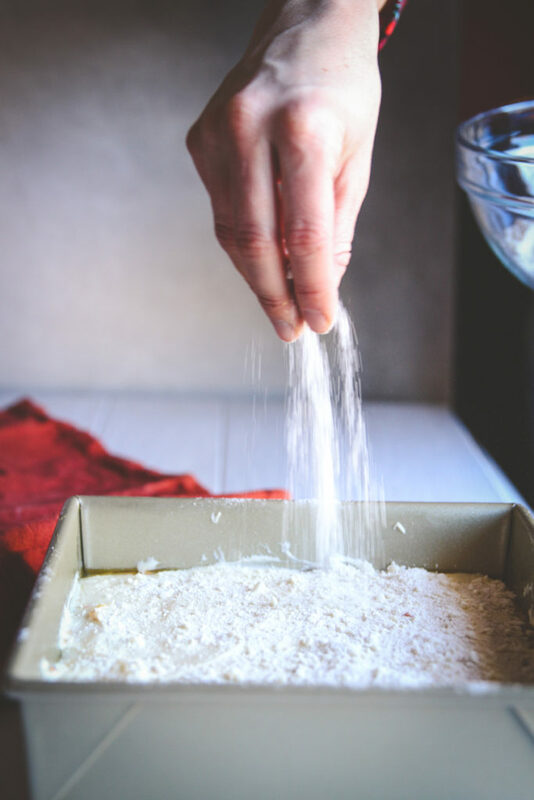 To assemble the cake, first pour the carrot cake batter into the prepared baking dish, next spread the cheesecake layer and top with crumb topping. Bake in oven for 55 minutes or until a knife comes out mostly clean when stuck in center. This will be a fluffy cake. If you prefer a thinner cake, use a 9 x 13 pan. It will still be fluffy, but just much thinner. Simply double the recipe for a large group. Trust me, you're going to want to! Feel free to substitute your vegetable for any mild cooking oil - grape seed, coconut etc. I cannot wait to try this! Both of my favorite desserts in one… yum! Wow, this sounds delicious. We survived the winter here in Wisconsin. Hope you’re all well. I think you’d love this recipe, it’s so amazing 🙂 Hello to another wisconsinite!